Hey Fray, it's Friday and to tell you the truth I'm a little under the weather. Got that stuffy nose thing starting to happen and I'm reaching for the COLD-FX. They seem to work for me if I catch it at the beginning, which I hope I have done. Not much fun heading into the weekend with a cold. I'm sure you've been there. Anyhoo...we're going to keep Friday's post quite short today. I'm going to share the clip of Jensen Ackles (Supernatural) EYE OF THE TIGER video because it makes me smile, and I hope it makes you smile too. Thanks again for checking in all this week. I can't believe over 8500 of you have dropped by. So thanks for that. 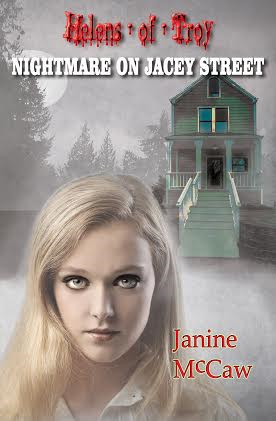 BTW: Pre-sale are up for the Helens-of-Troy sequel NIGHTMARE ON JACEY STREET. The official release date is early October, and I know some of you haven't read HELENS-OF-TROY, so if you head over to Smashwords, you can get an ebook copy of the first book in the series for free. That's right FREE. Click on the image to the right and it'll take you right there for your download. Here's a fan video that was made for the book. There's no Jensen in it (sigh) but I hope you like it too.